By the time Dawei Zhang’s study visa to the United States had been renewed, it was too late. The 29-year-old materials scientist was back in China with his wife and son, ready to begin a postdoc at the University of Science and Technology Beijing — one of the country’s leading materials institutes. The delay had prompted him to accept a position in China, rather than pursue research on self-healing materials in the United States. Looking back, Zhang realizes that the unexpected move worked out well for him. Six years later, his research into materials corrosion has become part of a national 1-billion-yuan (US$150-million) programme to revolutionize the speed and efficiency with which China can develop new materials, known as the Materials Genome Engineering (MGE) project. 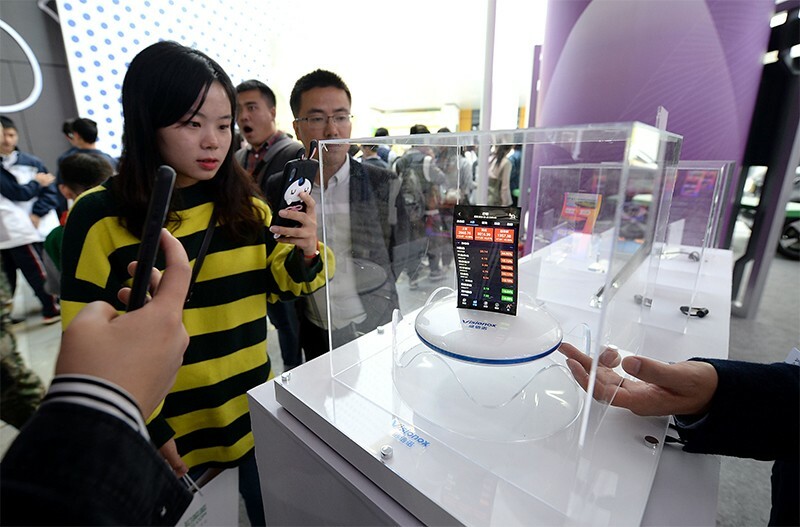 Such large-scale scientific ventures have become common in China over the past decade, forming key elements of the government’s plan to transform the country into a high-tech economy that can match, and eventually surpass, the world’s leading scientific nations. Launched in 2016, the MGE aimed to match the scope of the Materials Genome Initiative in the United States, a $250-million federal programme designed to shepherd advanced materials science into industrial applications. The names are intended to draw comparisons to biological superprogrammes such as the Human Genome Project. In essence, China’s policymakers want to make better use of the information stored in the country’s databases about the behaviours of materials, so that new materials can be developed. But the researchers are still at an early stage. Zhang’s team struggles to understand the methods of data scientists — a problem, he says, that is common across the world. A final goal of the MGE, he says, is to develop a centralized, intelligent data-mining software platform that can offer instant feedback to companies involved in, say, car manufacturing, steel-making and shipbuilding, on how materials behave. At his lab at the Institute of Advanced Materials and Technology in Beijing, Zhang works in a cross-disciplinary team, some of whose members focus on the MGE (see ‘Hard data’) while others do basic research. Data scientists help him to process the information in the databases to aid the creation of models for new materials, and biologists look at the influence of microorganisms on corrosion. His institute also welcomes guest professors from the United States and Europe. 1980s: Chinese universities and research institutes develop 23 small-scale materials databases with financial support from the national government. They are used and updated infrequently. 2000: China launches two national, centralized materials databases involving 18 research institutes. For the first time, data are collected and entered in a standardized format (see http://www.materdata.cn). 2016: Policymakers invest in developing databases and big-data technology for China’s Materials Genome Engineering project, which echoes the Materials Genome Initiative launched by then-US president Barack Obama in 2011. 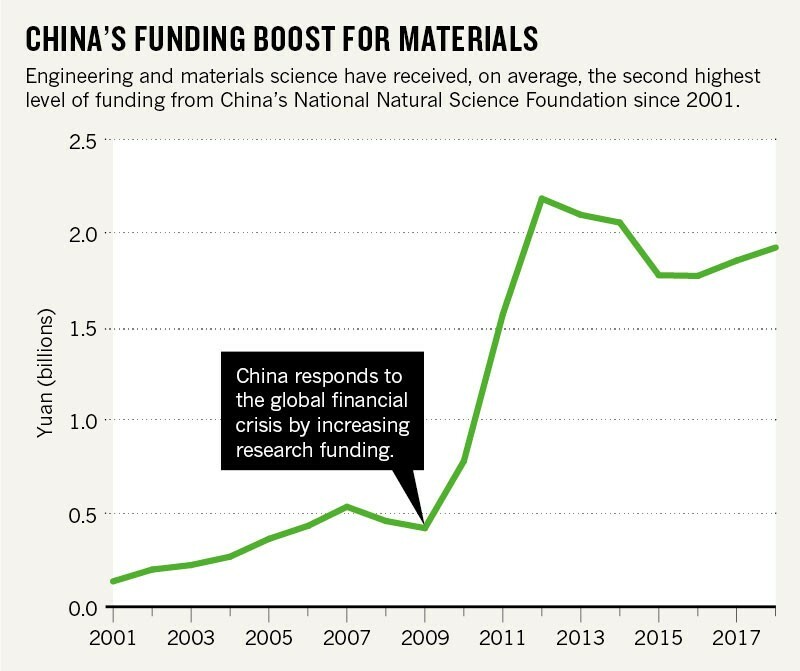 Funding for materials science in China has quadrupled since 2008, and the field receives the second highest level of funding from the National Natural Science Foundation of China (NSFC), behind only medical sciences (see ‘China’s funding boost for materials’). 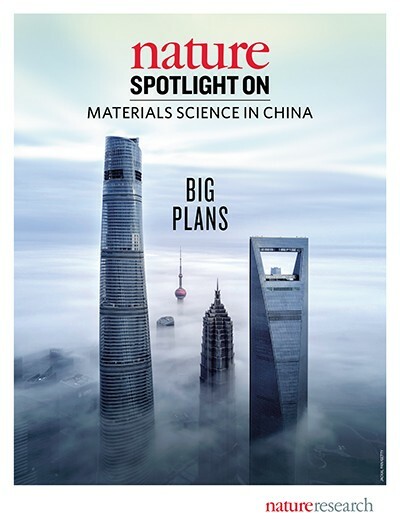 The volume of China’s materials-science research has grown correspondingly. 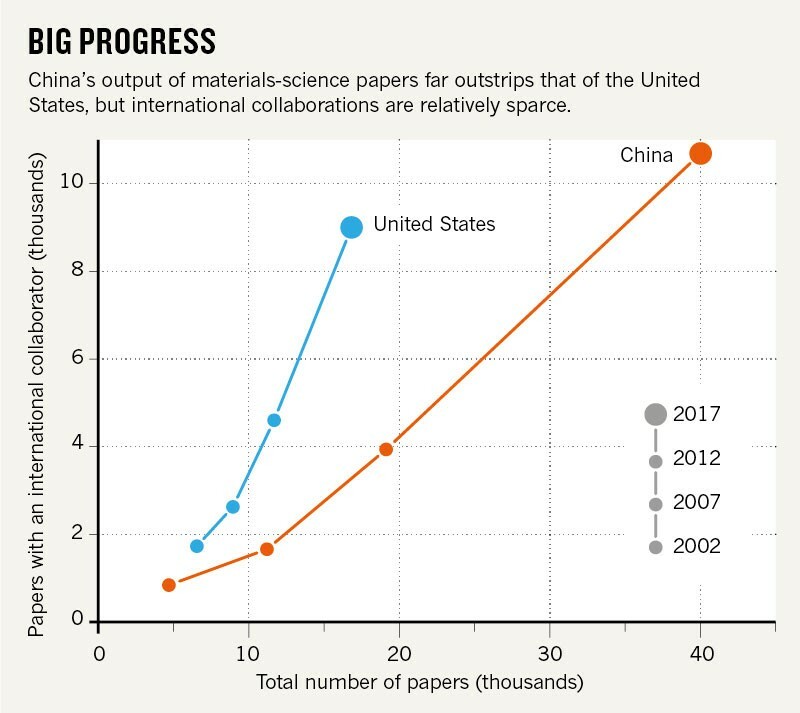 According to data from the Web of Science, the number of papers on the topic more than tripled between 2006 and 2017, to around 40,000 (see ‘Big progress’), and around one in every nine papers published by a Chinese researcher in 2015 was in materials science. Since 2006, China’s scientific research and development (R&D) funding has been guided by a national plan to improve the country’s level of innovation by 2020. The plan includes the realization of ambitious research and development projects, such as Moon exploration and the development of China’s first domestically designed passenger aircraft. These goals are designed to spur technological breakthroughs and improve the country’s economic prospects, and materials science is crucial to their success. 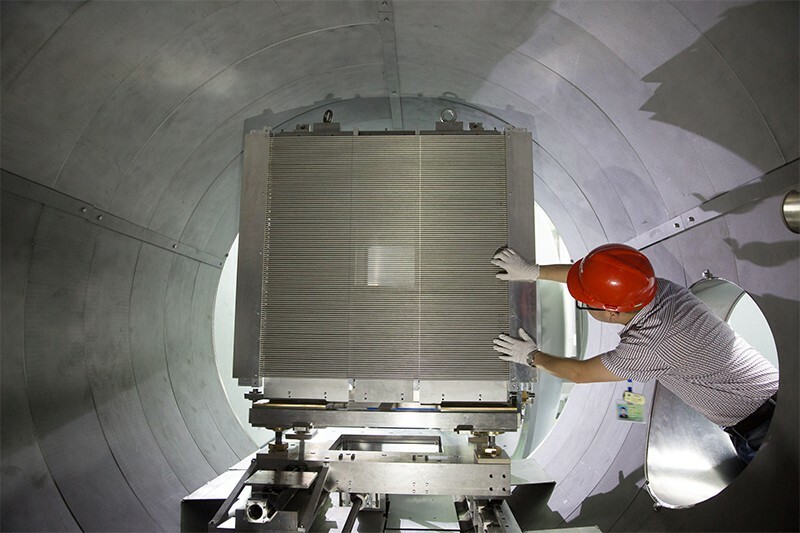 In 2018, the NSFC pumped more than 2 billion yuan into 701 projects, including the MGE and work on nanotechnology and advanced electronic materials. In the same year, the Ministry of Science and Technology announced total funding of more than 1.6 billion yuan for six special projects, which also covered nanotechnology. China now publishes more high-impact research papers than any other country in 23 fields with clear technological applications, including batteries, semiconductors, new materials and biotechnology (see go.nature.com/2xuboa9). And in November, a start-up called Qing Tao Energy Development, begun in 2014 by PhD graduates from Tsinghua University, Beijing, announced that it had developed the country’s first solid-state battery production line. Yet, despite the country’s growing impact, it’s not clear whether China’s scientists are achieving as much as they could, given their resources. John Plummer, a former senior editor for Nature Materials based in Shanghai, who is now a senior portfolio editor at Nature Research, acknowledges that China is a leader in some areas of materials science — such as nanomaterials, condensed-matter physics and structural materials. But it does not yet compare to the United States or Europe in terms of materials research overall, he says. The scientist, who was born in Shanghai, studies how materials respond to extreme pressure, and told officials that they should give him the money to start a lab to produce “truly transformative research”. He explained that there would probably be no immediate breakthroughs. His only guarantee was that he would attract scientists from all over the world who had the same potential for productivity that he himself has demonstrated: during his career, Mao has had 65 papers published in Nature and Science. “Give me the money and I’ll give you the scientists,” he said in 2008, at an event held by the NSFC and the Chinese Academy of Sciences (CAS), the largest scientific organization in the country and a policy adviser to the government; Mao was made a member in 1996. The officials gave him the money — and in 2013, the Center for High Pressure Science and Technology Advanced Research (HPSTAR) was established, with branches in Shanghai and Beijing. Mao’s labs are not funded through the usual central bodies, such as the Ministry of Science and Technology, but directly by the Ministry of Finance. Mao is convinced that scientists perform better without restrictions — and the opportunity to do just that was partly why physicist Philip Dalladay-Simpson applied for a position as a postdoc with the Shanghai lab, to study the response of molecular systems to very high pressures. He graduated from Queen Mary University of London in 2010, and finished his PhD — on how hydrogen responds to extreme environments — at the University of Edinburgh, UK, in 2016, just as HPSTAR was undertaking a recruitment drive. “This was a chance to align myself with a new and ambitious research institute, where I could have the freedom to research my personal interests. It felt daunting as it wasn’t something I had ever envisioned for my career,” Dalladay-Simpson says. Mao’s team can take advantage of one of China’s growing list of large-scale research projects — the 1.2-billion-yuan Shanghai Synchrotron Radiation Facility, which opened in 2009. Here, HPSTAR scientists use X-rays to learn more about how materials react under pressure. “Our team use the facility monthly, at least, so we rented lab space next door,” says Mao. For engineer Guang Chen, China’s ambition to become a global leader in science and technology by 2049, the centenary of the founding of the People’s Republic, is a daily pressure. The country wants to manufacture its own aircraft from scratch: at present, commercial planes made by Chinese companies use imported engines. So, when Chen, who works at Nanjing University of Science and Technology, published a paper in 2016 about a new alloy that could be used in the manufacture of jet engines (G. Chen et al. Nature Mater. 15, 876–881; 2016), his funding rocketed. In 2017, Chen was promised key funding worth 3 million yuan, five times the value of the general grants usually awarded by the NSFC. In addition, he received two of these 600,000-yuan grants. Although he is pleased to have the support he needs, he knows there will be consequences if he sees no results by the time his funding runs out. “It will hurt my scientific reputation and applications for later programmes,” he says. Chen has been working in this area for more than 20 years, and speculates that commercialization could take another 10. But that’s not the kind of speed that the Chinese government or industries have come to expect from their country’s developers, says Xingyu Jiang, a chemist at the Southern University of Science and Technology in Shenzhen. For scientists in China, moving bench research towards a high-tech production line is not straightforward. Neither government nor business is hugely experienced in commercializing technology, and researchers struggle to meet high expectations without the infrastructure and expertise to support them. Wen came back to China in 2014 after doing postdoctoral research at the University of Wisconsin–Milwaukee in electrochemical-energy conversion and storage. Since returning, he’s been encouraged to cooperate with businesses and invited to meetings with local government officials, to discuss the commercial applications of his research into the development of batteries and fuel cells. The government has introduced incentives to encourage scientists to start businesses, such as financial stakes in spin-off companies and time away from their lab to develop the technology, but the environment is still tough. Wen thinks that more should be done to increase understanding between research teams and manufacturing companies: “The development of new materials in the lab often takes insufficient account of market demand, making it difficult to get financial support from companies,” he says. When the scientists who developed graphene at the University of Manchester, UK, won the Nobel Prize in Physics in 2010, their creation was widely expected to revolutionize electronics. The ultra-light, flexible, strong and highly conductive nanomaterial has not yet lived up to expectations — but, if it does, China intends to be perfectly placed to take advantage. China recognized the contribution that nanoscience discoveries could make to its own scientific, technological and economic development early on. In 2003, the CAS and the Ministry of Education established the National Center for Nanoscience and Technology, and the country now has the highest number of graphene businesses in the world — nearly 3,000, according to government figures. The country also accounts for around two-thirds of global production. But there’s a problem: almost all these producers are small or medium-sized companies that will lack funding in the long term unless they find a sustainable business model, says chemist Xiaoyue Xiao. In 2013, Xiao and Yichun Li, a materials engineer now at the China International Technology Transfer Center in Beijing, came up with the idea of forming an organization to enable these companies to work together and grow. “The good thing was there were lots of small companies working on graphene or graphene-related technologies. The bad thing was that quite a few of them couldn’t keep going,” Xiao says. In the same year, Xiao and Li founded the China Innovation Alliance of the Graphene Industry (CGIA) to bring together universities, institutes and companies in an attempt to improve the situation. “Investors were putting in lots of money, but then quickly became frustrated because companies were struggling to develop applications they could sell,” says Xiao. The CGIA put together a database of graphene-related projects, categorized by their development stage: lab, pilot or commercialization. Projects at each stage receive a different type of support. Lab projects are tracked and given an incubator when ready; at the pilot stage, the CGIA helps to find investment; and at the commercialization stage, it invites project teams to present their work in front of potential investors and government representatives. The alliance has an annual operating budget of 8 million yuan. The next stage for the CGIA is to tackle one of the industry’s biggest problems — which, as Xiao puts it, is that “the quality of graphene products is totally uncontrollable”. In 2016, he therefore helped to launch the China International Graphene Industry Union, which is developing the country’s first set of standards. He is also discussing how to reduce technical barriers to trade and joint R&D with international teams such as the International Electrotechnical Commission in São Paulo, Brazil. Additional research by Kevin Schoenmakers. Correction 27 March 2019: An earlier version of this story gave the wrong birthplace for Ho-Kwang Mao; the wrong affiliation for Guang Chen; and the wrong university campus for Zhenhai Wen’s postdoctoral research.